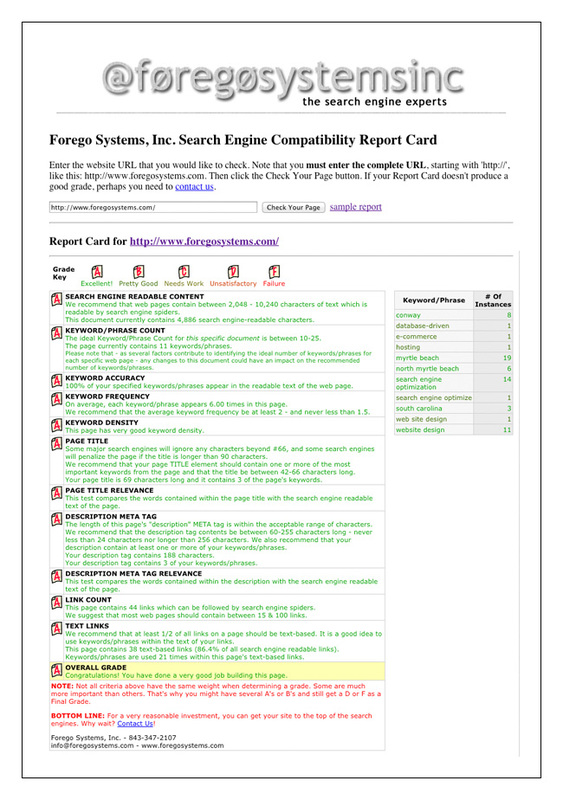 The purpose of our SEO Report Card is to quickly evaluate the potential of a website for obtaining high rankings in the search engines. 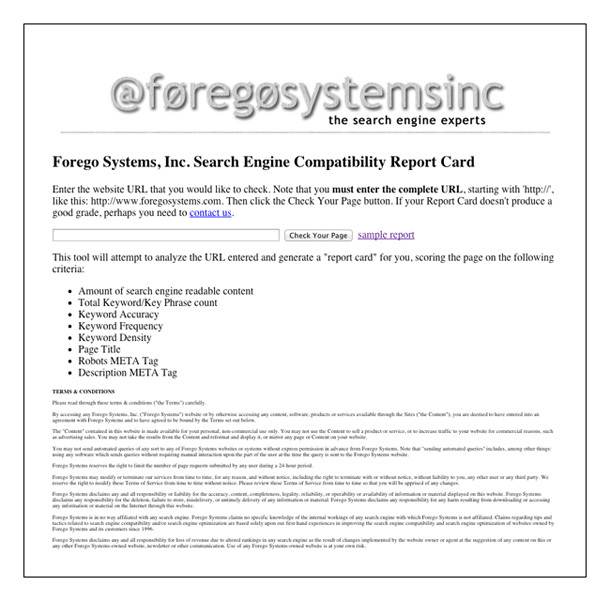 A high rank on our Report Card does NOT mean that a website will rank high in Google or other search engines. It's simply an indicator of whether or not some of the important elements of good rankings are in play. Below you will see what the initial page looks like, and to the right you'll see a sample report card. To reach the Report Card page (it's FREE), simply click on either graphic. It should go without saying that if you want great search engine rankings, you'll need to contact our company!